FRESH INTERIOR PAINT 3/2019 SHARP HOME 3 BR 2 BA split master suite. 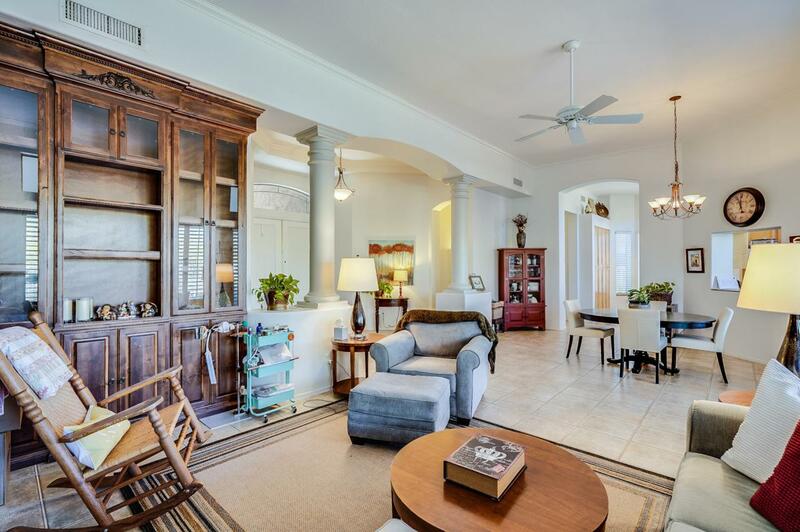 Maracay (former model) with great room that backs to Natural Open Space. 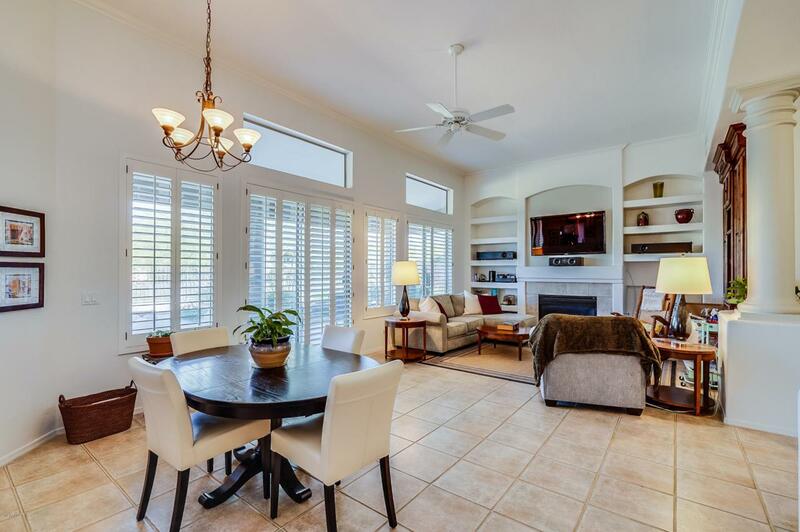 Homes features 10' ceilings, tile & wood floors, Plantation Shutters & wood blinds. Kitchen with granite counters and stainless appliances. 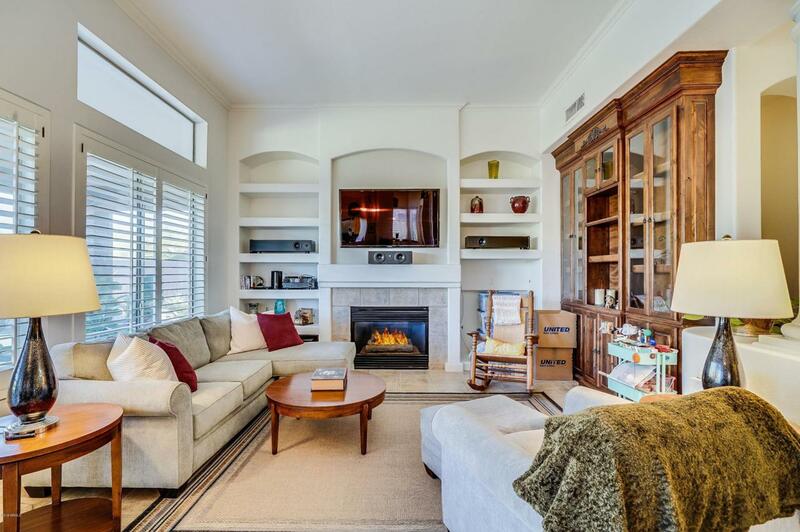 Great Room features gas fireplace and striking built-in Book cases and wall mounted TV (which does convey). Large laundry room w/sink, washer and dryer included. 3 car garage with built in cabinets, shelving & a service door. 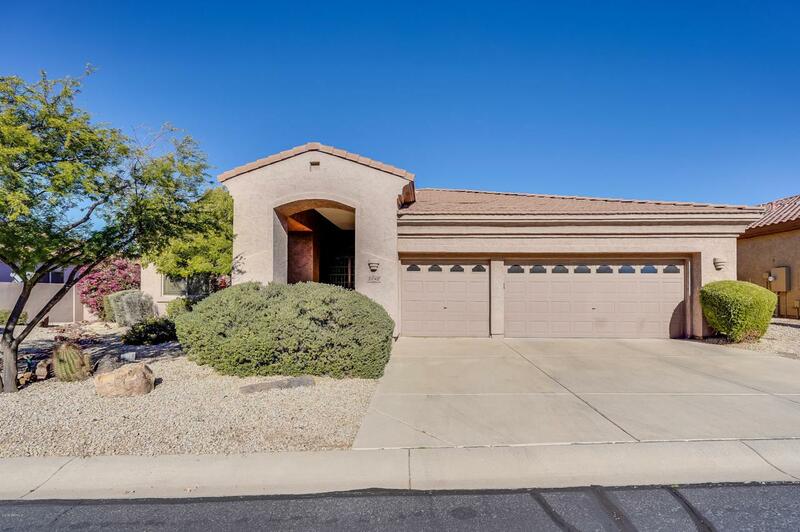 Covered patio that extends the entire back of house with low maintenance lovely backyard.Great home in great location minutes from Desert Ridge!